McGanniversary Week: THE MASTER OF HAM | Warped Factor - Words in the Key of Geek. Dr. Moo takes a look at everyone’s least-favourite Master. As we celebrate the twentieth anniversary of Paul McGann's debut as the Doctor (it’s a McGanniversary!) it’s easy to forget about another Time Lord who shares the 8th Doctor’s birthday: The Master, on what we can assume from previous canon is his fifteenth incarnation. 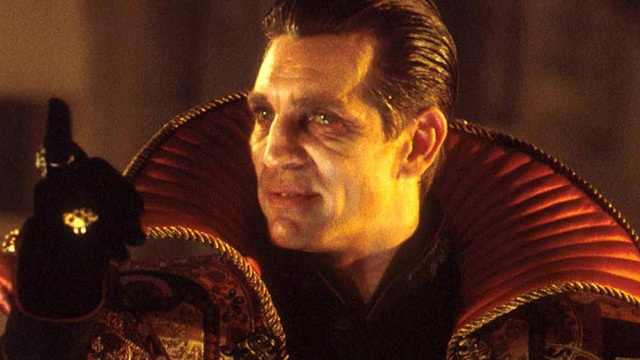 As the 1996 movie opens Gordon Tipple, seemingly playing the same version as Anthony Ainley, plays the Master. He is on trial from the Daleks and executed for his” evil crimes”, whatever that means. His last request is for the 7th Doctor to take his remains to Gallifrey to be disposed of properly. During the trip the Master’s remains take the form of a gooey snakelike thing, which some sources identify as a Morphant, and sabotages the TARDIS forcing the Doctor to make an emergency landing. When the Doctor leaves he is gunned down by some thugs and rushed to hospital while the Morphant Master remains in the ambulance. That night the Doctor lies in the morgue and regenerates from Sylvester McCoy into Paul McGann, while the Morphant Master enters the mouth of the paramedic Bruce and possesses his body: Say goodbye to Eric Roberts as Bruce and say hello to Eric Roberts as The Master! The Master’s latest new body is of human origin and as a result his Time Lord status causes it to begin decaying rapidly. At the rate of decay that his body was experiencing he had no time to waste; he needed the body of a Time Lord and he needed one fast! The nearest one was that of the Doctor, yet he has no idea what that looks like now! His newfound fear of his approaching death moved him to extreme measures. Previous Masters had tried to disguise themselves to blend in but Robert's Master had no time for such matters. 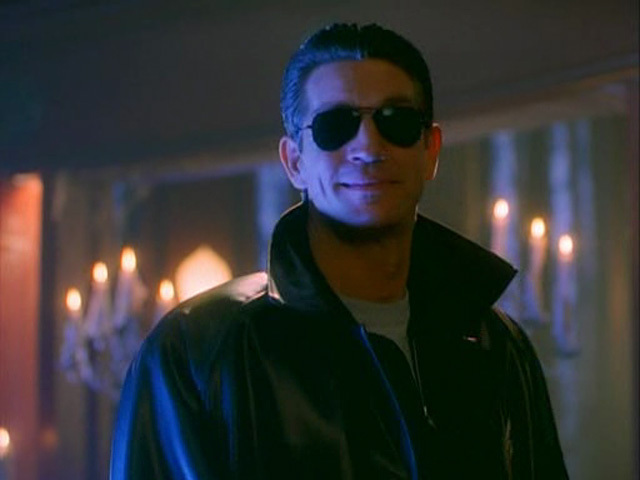 A leather jacket and shades, making him look like a bad attempt to cosplay Arnold Schwartzneggar from The Terminator, would have to do. Unlike the T-800 he doesn’t have time on his side. While other Masters would use weapons or get other people to do his dirty work for him, this Master got the job done himself and wasn’t afraid to get his hands dirty so to speak. He attacks people with his bare hands, blunt instruments and his poisonous spit (presumably an ability acquired from his recent snakelike form). He’s not against using hypnotism on people either, both Grace and Lee being on the receiving end at times, but mostly he goes in for the kill himself. He’s feral and demented, his lack of time and resources forcing him to use extreme violence where his other selves would find an alternative method; the longgame-playing chessmaster of Geoffrey Beevers or cool menace of Roger Delgado is gone now! Despite being moved to swift violence he still retains the flamboyance and overconfidence that defined his previous Anthony-Ainley-shaped “Tremas” incarnation. When he finally has the Doctor trapped he takes the time to go change into flamboyant Time Lord clothing – “I always dress for the occasion” he infamously explains – because he is overconfident enough to think he has the time for this sort of thing. It’s this combination of violence and overconfidence that proves his downfall in the end. When he has the Doctor trapped and unconscious he takes the time to go get changed instead of stealing the Doctor’s body and regenerations there and then. He waits until the Doctor is awake to see it and taunts him about it, but in the typical Doctor way the Doctor uses words to get Lee to help him and stop the Master’s plans. With the Doctor now free the Master realises that his last chance is gone and reverts back to feral violence and tries to throw the Doctor into the Eye Of Harmony, the idea being that if he’s going to die then the Doctor’s going down with him. But the Doctor manages to survive and the Master falls into the heart of the TARDIS where he is, as the Doctor implies, digested. This is a rather grizzly end for the Master (or it was until the Time Lord's resurrected him as Alexander MacQueen at any rate) but since this Master in particular had been so violent and nasty, more than any of his previous known incarnations, it’s hard to feel sorry for him. With all that in mind then, this Master sounds like a brilliant villain. Sadly that’s not the case, and it's down to Eric Roberts’s performance. To be fair to him he only has roughly 70 minutes or so of screentime and (we can assume) Roberts did what writer Matthew Jacobs and director Geoffrey Sax asked of him. 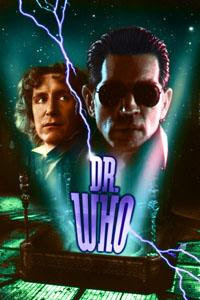 Just take a look at the movie’s promotional poster (above) to see that they liked him – his image is bigger and more prominent than Paul McGann! – so we shouldn’t give him the blame. We must also remember that he was considered a “big name” at the time so having him on board leant the production a good level of credibility, at least that was the theory. The trouble is that he’s too camp for his own good. That’s nothing new of course. All the Masters have offered some level of camp to their performances (except for Roger Delgado and Derek Jacobi) but where Anthony Ainley, John Simm and Michelle Gomez made the campness a key element to their performances, none of them made it their main defining trait, rather it’s just one part of a larger whole. Eric Roberts doesn’t do this; he goes for full ham. He does have some menacing scenes throughout the movie. The first time we see that Bruce has been possessed is probably the most memorable and could have been an iconic moment if it were done better. “My name is not HONEY!” has potential to be one of those all-time great Master moments but it just doesn’t work. Later there’s a scene when he misinterprets Lee’s figure of speech (“Hahaha, you kill me!”) and responds “You want me to kill you?” generating laughs for the wrong reasons. His most iconic line (aside from the embarrassing “I always dress for the occasion”) is when he declares that “life is wasted on the living” – the reason this stands out is because it’s literally the one and only time that Roberts convinces as an actual legitimate villain. Wikipedia informs me that Roberts has had a very long career with much success including multiple award nominations (including an Oscar nod) so we know that he’s a good actor based on that information.